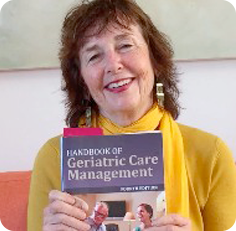 Handbook of Geriatric Care Management, Fourth Edition is a comprehensive guide for geriatric care managers (GCMs) to help define duties and procedures for planning and care monitoring. New to this edition is a focus on the National Academy of Certified Care Managers (NACCM) certification exam, updated ethics and standards, and current guidelines to reflect Healthy People 2020 and the CDC Healthy Aging Resource. Care Managers: Working With The Aging Family addresses the unmet needs of care managers working with aging clients, as well as the client’s entire family. With an in-depth focus on the Aging Family System, Care Mangers fills a gap for Medical Case Managers and Geriatric Care Managers by providing tools to better meet the treatment goals of aging clients and their families as older clients move through the continuum of care in either institutional-based or community-based settings. 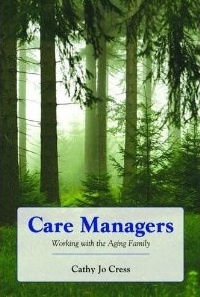 Care Managers: Working With The Aging Family uniquely focuses on helping the entire family unit through the process of death and dying, as well as helping midlife siblings to work together to render care to aging parents. Care Managers: Working With The Aging Family adds proven techniques to the care manager’s repertoire such as family meetings, forgiveness, technology, and care giver assessment. Multiple tools are offered to better develop an effective care plan so that the needs of both the family and the older client are met. The bonds between siblings are the longest connections in our lives and sibling relationships are among the most enduring ones we’ll ever have, but for many this bond has not always been smooth—many of us are stuck with childhood memories of conflict that have been festering for years. In Mom Loves You Best Cathy Jo Cress, MSW and Kali Cress Peterson, MS, MPA, two recognized experts on sibling relationships, demonstrate how to move beyond the childhood strife, giving readers the tools to make forgiveness achievable through their prescriptive ten-step process. Readers forgive not only their siblings, but also themselves, as they let the ten straightforward steps guide them toward exoneration and improved feelings. A book that enables anyone to successfully repair family ties, Mom Loves You Best puts readers on the path to reconciliation and healthy adult relationships.